We are engaged in manufacturing and supplying high quality Nanopowder Water Dispersion. Formulated using top-notch quality chemicals and latest technology, these products is processed with high precision in order to meet the international standards. In addition to this, our products are available in various packaging options and other related specifications. 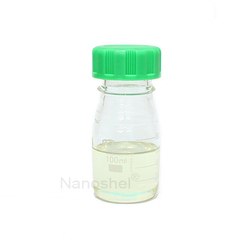 Nano powder has various applications in the Pharmaceutical and Medical field. Drug delivery has impacted by the advancement in nano powders smaller particles are able to be delivered in new ways to patients, through solutions, oral or injected, and aerosol, inhaler or respirator. New production processes allow for encapsulation of pharmaceuticals which allow for drug delivery where needed with in the body. From nanotechnology we can be able to understand the living cells and used in studies like, enhanced spectroscopic techniques, biochips, and protein and enzyme analysis. Backed by our rich industrial expertise, we have come up with Titanium Oxide Nanopowder for our valuable customers. Formulated under hygienic conditions and thoroughly tested, this is highly regarded in the market. 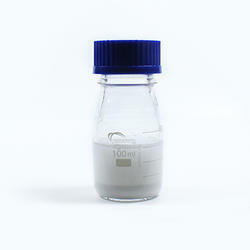 It finds application as catalysts, energy conserving coatings, anti-static coatings, etc. It is a white colored powder of optimum purity. 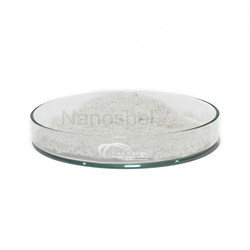 We offer tin oxide nanopowder at standard market prices. Clients can avail the offered range of Nanopowder Dispersion from us. This product is formulated with the help of premium quality chemical compound and sophisticated technology in compliance to set company norms. The offered product is sternly monitored on various parameters to ensure its quality. Clients can avail this cleaner from us in various packaging options as per their requirements. Nano-particles with sizes ranging between objects and micro-particles (e.g. atom) have attracted much attention. These particles with various specialized functions not only deepen our understanding of nature, but also serve as the basis for the development of new advanced technology. Nano-composites are made from two or more of the solid phase, at least in one dimensional nano-level size (1-100 nm). The solid phase can be amorphous, semi-crystalline, grain, or a combination. The solid phase can also be organic, inorganic, or a combination. According to the size of the solid phase, nano-composites generally include the following three types: nano-particles and nano-particle compounds (0-0 composite), nano-particles and conventional bulk composites (0-3 composite) and composite nano-films (0-2 composite). As the reckoned manufacturer and supplier in the concerned field, we offer an ample assortment of Aluminum Oxide Nanopowder Water Dispersion. Processed using the best grade chemicals and advanced technology, this product is developed as per the international quality standards. Owing to its various salient features, this product is available in various customized packaging options. The offered product is tested by our skilled professionals on various parameters in order to ensure their flawlessness. 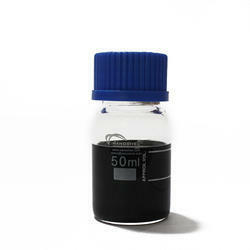 This material ships as Liquid Dispersion. Each grade contains particles with an average thickness and surface area. All dimensions represent median sizes and there is a distribution around the mean. Zirconium Slurry Polishing by Nanoshel. This material ships as Liquid Dispersion. Each grade contains particles with an average thickness and surface area. All dimensions represent median sizes and there is a distribution around the mean. Iron Oxide Nanoparticles Dispersion by Nanoshel. This material ships as Liquid Dispersion. Each grade contains particles with an average thickness and surface area. All dimensions represent median sizes and there is a distribution around the mean. 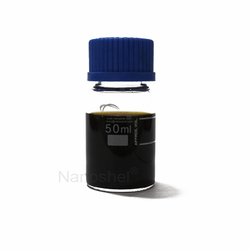 Colloidal Silver Products by Nanoshel. This material ships as Liquid Dispersion. Each grade contains particles with an average thickness and surface area. All dimensions represent median sizes and there is a distribution around the mean. 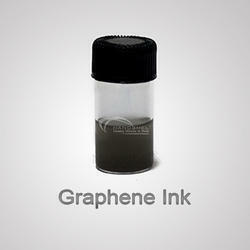 Transparent Conductive Inkby Nanoshel.